I have been accused of creating competitions with others that they did not even know they were a part of. This may be a case in point. In any case, since I am winning I thought I would share it! The McCropders have done a fair amount of travel in the past few months and we have covered well over half of the states in the US through those travels. Most of the travel is related to seeing family and friends, raising awareness about Burundi, speaking and attending conferences, and speaking in churches. As it stands, the Faders have been to the most states as seen in the graph below. In full disclosure, I must admit that when we were visiting my cousin and her family in New Hampshire, we travelled an extra few miles off the necessary path since we were literally 1 mile from Maine and we just couldn't pass up the opportunity. Combining all of our states shows that we have just a few more to go. The states in red below are the ones that at least one of the McCropders has been to since September. I love carols. I love how some of them are really old, and connect us to generations of Christmas celebrators from years past. And I love the great lyrics. Many of them express the source of sustaining hope that keeps us going in our work. And some of them are buried somewhere in the 3rd stanza, where they don't get a lot of attention. So I wrote this song, piecing together some of my favorite Christmas lyrics. My recording gear isn't working so well, so here's a video. If you think of a name for the song, pass it on, since it doesn't have one yet. the life and light to all he brings. Almost without a doubt, the number one question that we get asked after finishing a presentation (of which there have been many these past few months) is, How safe is Burundi? That's a difficult question. It's difficult on many levels--we don't really know, we maybe know but don't want to put the country in a bad light, we want to reassure family and donors, and then again, why does it matter? People want to know because they are curious, because they care about us, because they've heard stories. Really, Burundi was engaged in civil war until just a few years ago. Can it possibly be a safe place to be? The answer we give is that we think so, and the country seems to be at peace so far. Before deciding on Burundi we spent a lot of time talking to ex-pats and Burundians about the political climate, stability, danger for citizens and residents, etc. We are not knowingly taking our small children into a dangerous place to live, where there is guerilla warfare or drug trafficking or kidnappings happening every day. Will war come again, and will our lives be endangered, and will we have to be emergency airlifted out of the country to safety? I suppose these things are always a possibility. But at this point they do not seem likely. And we have weighed the risks and decided that there is always some danger no matter where you live, be it in a large US city with muggings, a high school where some random kid could come in with a gun and a temper, or a small town with a railroad crossing where people are occasionally killed in auto accidents. Is there more than average danger in Burundi? Perhaps, but not much. We felt incredibly safe these past two years in Kenya. It's been one of the most stable countries in Africa for the past 40 years. And yet. Remember the election violence that suddenly erupted just a few years ago. Things happen. One never knows. But despite that, we never felt like our lives were in any danger at Tenwek. 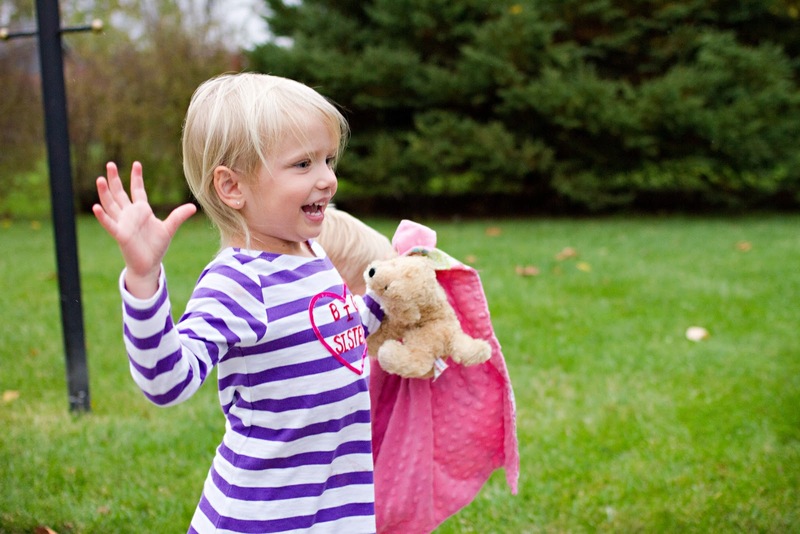 Our kids played in the front yard. We drove around the country with impunity. There were cautions we took, of course--no driving after dark, avoid certain roads known to be "dangerous," don't travel by yourself. So there is an element of, be smart as an American living abroad, and you will probably be fine. The question remains, what if there is more than average danger in Burundi? Would that dissuade us from going? What about all the need in places like Afghanistan, Iraq, DRC, northern Africa? If God called us there, would we not follow His leading? Someone once said, the safest place to be is at the center of God's will. We seek His will, and step out in faith. We count the cost, but consider it a privilege to lay down our lives for Him, no matter what that looks like. I can't say right now if our team would stay in Burundi if things became unstable. It's something we will have to decide as doctors, as parents, and as missionaries. We pray that things will always be safe and peaceful, that our families will be kept from all harm and sickness. You can pray that with us, every day. And if someday that changes, we will continue to seek God's will and follow His leading. 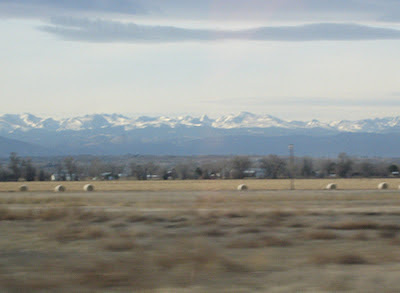 Our family has spent the last 3 weeks at Mission Training International (MTI) outside Colorado Springs. 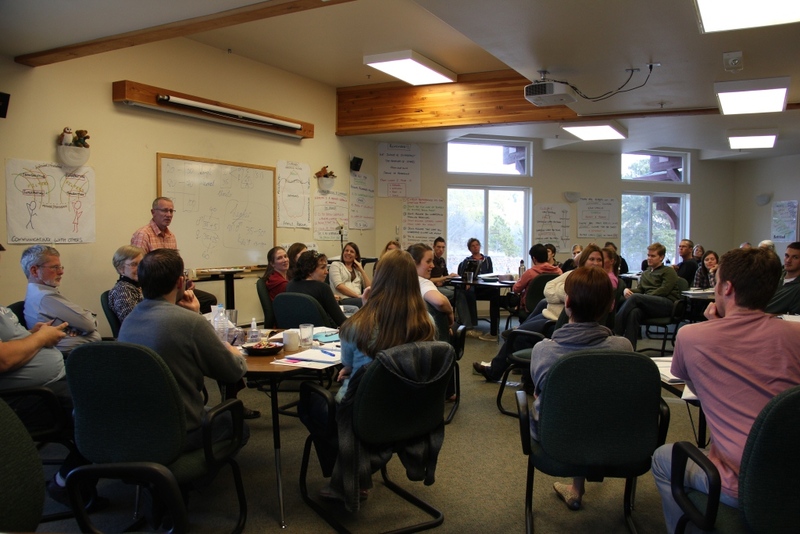 We have learned a number of really helpful things about working cross-culturally. 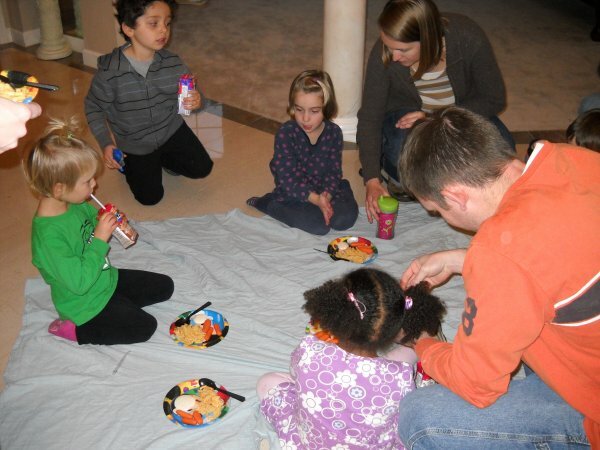 Our class topics included cross-cultural differences, conflict resolution, major transitions, stress management, grief and loss, cultural integration, healthy families, third culture kids, and resting in God, among other things. We have also enjoyed a lot of time for introspection and retrospection. 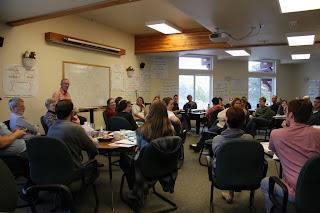 Most of the retrospection has been reflecting on experiences/interactions that we had at Tenwek these last two years. It is not unlike watching a recording of a football game that I just played in to identify what I did well and what I did not-so-well so that I can improve in the future. This whole process has been immensely helpful, and I am glad that all the McCropders will be going through this "missions boot camp" of sorts this year. Some of what we have done here is identify our own expectations of cultural norms which may not be universal. For example, the instructor called up two young, healthy ladies the other day and in front of the whole group asked one of the women how much she weighs. No reply. He asked again. She flat out refused to give her weight. As did the other lady. Then the instructor asked those in the audience as well as their husbands to guess at their weight. Nobody dared, until one of the husbands suggested 95 lbs. as a good guess (the women probably weighed at least 135 lbs each, but don't tell them I said that). How strange it is, really, that weight is such a taboo subject in the American culture. And yet there are certain situations where the ladies would divulge their weight (a doctor's office). And then there are situations where women would write their weight down, but the written number could easily be 10 lbs less than what they really weigh (on a driver's license). And the women were obviously flattered that someone under guessed their weight. But that would be an offense in many cultures where a certain amount of meat on one's bones indicates health and even wealth. In those cultures, the husband should have guessed 190 or 200 lbs, just to be safe and to compliment his wife. All that, and then there are some women who will readily give you their weight. Hmmm. All this to say that if there are so many unwritten rules and potential for harm around such a small issue of asking a woman how much she weighs, how many other such stigmas are there on unpredictable issues in the cultures we are going to? And it is not that discussing one's weight is a moral or theological or political issue - it is just the way it is in this culture. The point, obviously, is that I will need to adapt to the cultural posture on any number of issues as we enter a new culture in France, and then Burundi. By the way, is that your real hair color? Many Americans have the impression that missionaries are poor. There may be a bit of truth in this if we are compared only to our North American friends. As missionaries in the developing world, however, we are frequently confronted with the real truth that no matter how much we have "given up" to go to Africa, we have so much more than most people in the world. I remember being very sobered when I realized that the ball of mozzarella cheese that I bought for our Friday night pizza in Kenya cost more than most Kenyans make in a day. Someone recently brought to our attention the "Global Rich List". On this website, you can type in your annual income and it will tell you how you stack up with the rest of the world's 7 billion. According to the Department of Health & Human Services, the 2011 poverty guideline for a family of 5 is $26,170, putting such a family in the top 9.39% richest in the world. Put another way, some American poor are richer than 90% of the world. This is just a small taste of how wealthy we are as Americans. While cruising Facebook yesterday, I came across the picture below. 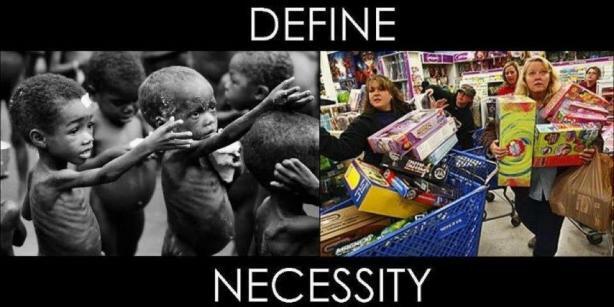 The "Black Friday" harried scrambling for more stuff is a stark contrast to the poverty seen around the world. I've always considered our lives as missionaries rich in many ways, but I have come to realize that we are rich financially as well. 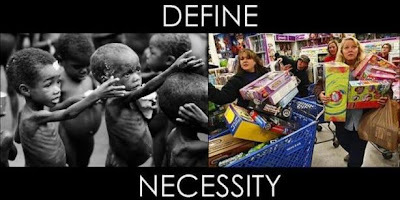 We have all we need and a whole lot more. During this season of Advent in which we anticipate the coming of Christ as a baby, let us remember the One who left the riches of heaven and chose to live the poor and humble life of a carpenter's son. As you, O reader, likely know, all the McCropders are currently back in the US, enjoying friends and family and cream cheese, but also raising the necessary financial support for long-term work in Burundi. 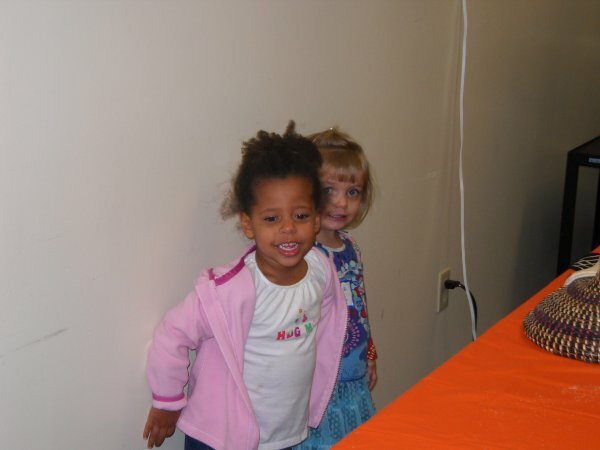 We are 100% donor-supported, and these donations go through our agency World Harvest Mission. We have two goals, an ongoing monthly support goal, as well as a one-time start-up cost goal. Many people have been wondering how we are progressing on this, so we are going to aim to update the blog monthly as we progress. The number posted will be the average of all five families/singles. We are resisting the urge to have a "red-thermometer" icon on the sidebar to track our progress. For more donation info, you can click here. 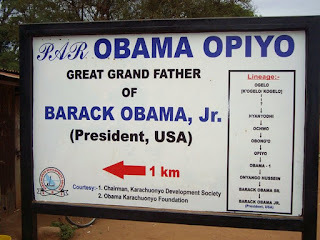 As many of you know, I have been collecting the awesome signs of Kenya. Click here for the collection. 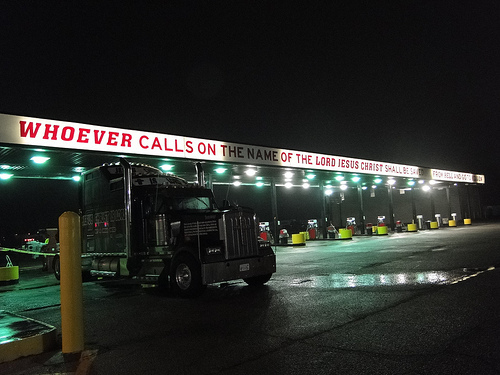 We are in the midst of a long road-trip from Nashville to Phoenix, and day #7, we pulled into Amarillo, Texas. 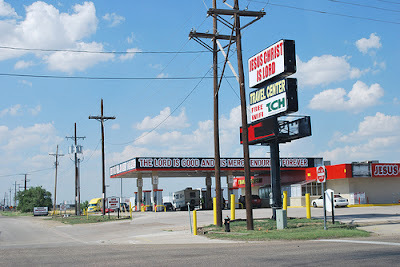 Now, there is not a whole lot in Amarillo, save hotels, "Free-if-you-can-eat-it" 72 oz steaks, and a flatness that is majestic, yet easily wearisome. However, on pulling into town, we discovered the "Jesus Christ is Lord Travel Center". That's the name. And the theme carries through their decorating. And one of my all-time favorites, the "Jesus the Fountain of Life Church Total Transformation Centre The House of Worship". Thank you, Kenya. Thank you, Texas. Nashville is on the eastern edge of the time zone, and Daylight Savings is past. The upshot of this is that it is completely dark by 4:45pm. One year ago in Kenya, I gave devotions to our medical staff on advent, and discussed the idea of the winter solstice with a bunch of Kenyan colleagues, and they were pretty shocked. When you live less than a degree from the equator, and the sun always goes down at the same time, the idea of these shortening days is strange. Imagine moving to Michigan from the equator some year in August, and watching the extraordinarily long days slowly wither away. The sun is failing, and the darkness is encroaching. Sometime around the beginning of December, you might being to despair of ever seeing daylight again. And you wouldn't be illogical to think so. Just wrong. Sometimes it felt like that in Kenya. There was a lot of light shining, but sometimes it felt like a long night only getting longer. Sometimes it feels like that here. And so it went, that when the ancients were setting a date to celebrate Jesus coming into the world, they chose (what they thought was) the winter solstice: the world's longest night, and the beginning of the steady advance of the light. And this encourages us in our weary world, because it tells us that the trajectory of society, of our failings, of the human condition itself is not without recourse. In fact, if we look at Christian faith, we find it tells of a God who is always bringing light out of darkness, love from hatred, life from the dead. 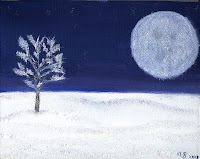 As we come into the season of advent, this odd celebration of expectation, may we know the hope that transcends even the beautiful and tragic Human Spirit. May we know the God of Resurrection and hope in the strength of his light in the darkness. This week at a conference, someone asked us to draw a picture of what our lives look like these days. I drew our family driving in the car. In the last month, our family has driven over 5000 miles. Other McCropder families are traveling similar paths. We welcome your prayers for safety and sanity in the car as we traverse the country to attend conferences and courses, to speak at various events, and to see friends and family. 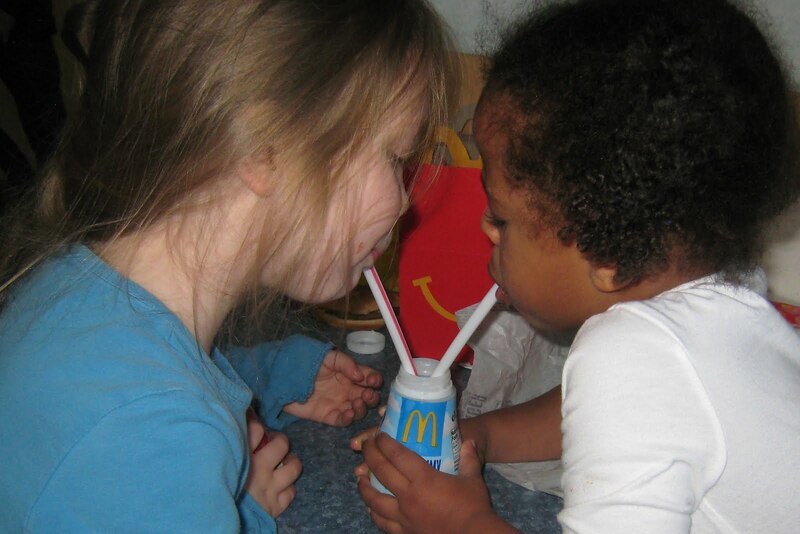 We utilize free wi-fi and free refills at many a McDonalds. We try to coordinate pit stops with friends when we travel to the same locations. This may not happen again for several months, but Maggie and Abi did enjoy playing together at this playground in Ohio a few weeks ago. At a McDonalds in Connecticut, we learned to suggest simultaneous straw drinking so that we can get back in the car faster and keep driving. 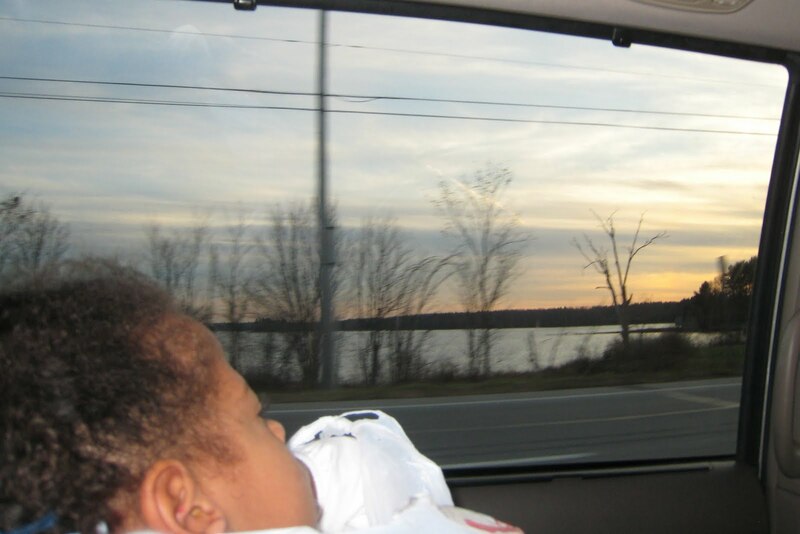 We encourage children to entertain themselves quietly in the car, even if that means letting them practice photography skills with the digital camera. 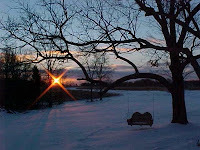 This is Anna's best photograph from New Hampshire. You may notice that Abi is holding a bag in the picture. Perhaps you recall a disaster or two with her carsick stomach in Kenya. We are extremely thankful to report that she has only been that carsick once in the USA so far. I'll always remember central New York for last week's clean-up effort. 2000 miles later, our family is now in Colorado for a course at Mission Training International. Here we are enjoying the beauty of the Rocky Mountains, and we feel very thankful for all the wonderful people we have been blessed to see all across this beautiful country. Once again, the McCropders have been spoiled by the Tang family who graciously hosted us at their Ann Arbor restaurant, Pacific Rim. Bryan & Toanh Popp (an Ob/Gyn couple from the Ann Arbor area who worked with us at Tenwek for 9 months) joined us for the evening. We're trying to convince them to join us in Burundi. We figure they can claim the "op" portion of the McCropder name. We enjoyed a fabulous evening of ribeye, tuna, wasabi-peppercorn tenderloin, crabcakes, chocolate-passion fruit mousse...to name only a few of the wonderful things we feasted on. While we dined, our children were well cared for by Janet Tang and a host of people from our church (Knox). They had a blast and we heard something about lions attacking damsels in distress. Many thanks to Duc, Janet, Abby, Grace, Nicholas, Barb, & Kristin for a delightful evening! Everyone said furlough/home assignment would be busy. We believed them, sort of. But not really. After 2 1/2+ months home in the States, now we finally understand. It's been crazy! Fortunately all of us have had time to spend with family. But there are so many people to reconnect with, and the always present "support raising cloud" hanging over our head. 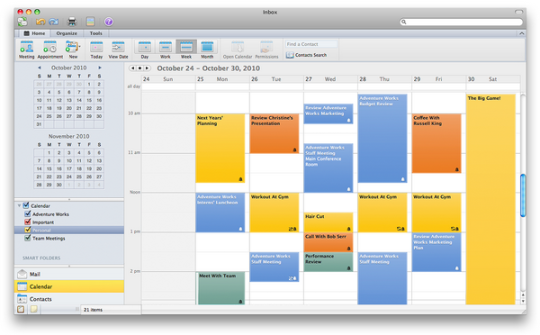 Eric wrote about our busy-ness recently. So after a wonderful but hectic two weeks in Michigan, we needed a break. Last year, an organization called the Christian Hospitality Network came to Brackenhurst, Kenya, and provided a free retreat for missionaries--free food and lodging, massages, hair cuts, pampering galore. Eric and I weren't able to go, but heard that part of the CHN was a bed and breakfast in eastern TN that provided free stays to missionaries. Our ears perked up, since Eric's parents live in Nashville. 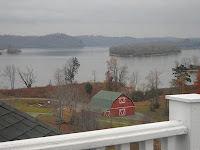 We made plans to spend a few nights at the Whitestone Inn, left the kids with Eric's parents, and took off. It. Was. Awesome. Our room was on the second floor and we had a private balcony, jacuzzi tub, fireplace, amazing breakfasts, etc etc. 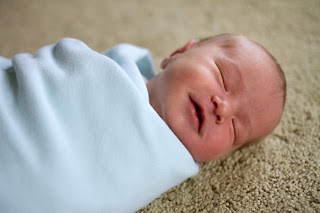 A perfect respite (complete with 9-10 hours of sleep per NIGHT! ), and just one of the perks of our "job". I write this to 2 groups of people. Missionaries, seriously, take them up on this offer (or any number of other B&Bs that offer discounts). Anyone else, the CHN is a great ministry to support...but even more than that, it has been such a blessing to be home these past several months and enjoy the gifts of the body of Christ. Whether that be a free place to stay, a meal, some new clothes, encouraging words, or watching our kids, we as the McCropders are so genuinely thankful for all of you. Thank you for helping us to do what God has called us to do. Happy Thanksgiving. The Global Missions Health Conference in Louisville, KY has a special place in each McCropder's heart. (For the McLaughlins, it is particularly special since it is where they first met.) 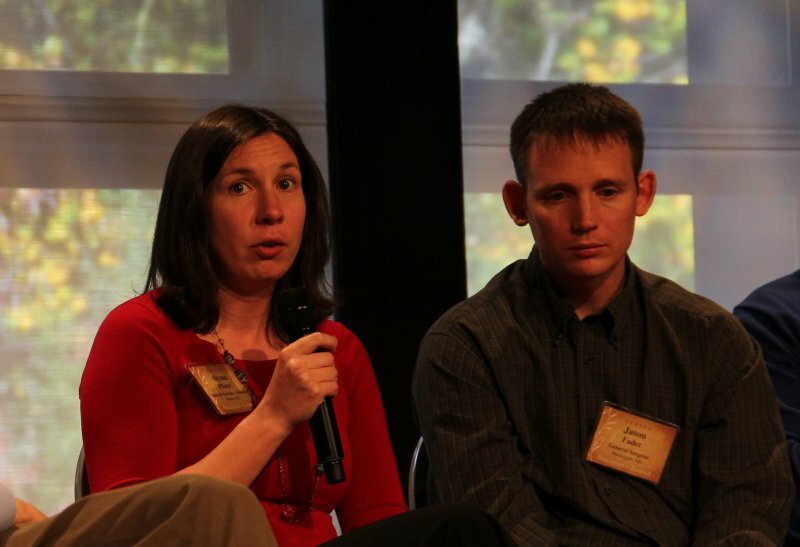 It was at this conference in 2007 that the McCropders first came to officially be. You can read more history about that here. For those of you not familiar with this conference, it is one of the largest annual medical missions conferences. It's an amazing experience to rub shoulders with thousands of people who are all passionate about the same thing -- bringing the gospel of Jesus Christ through medicine. We went into this conference with very different goals than previous years. Instead of visiting every booth trying to figure out what to do with our lives, we were able to stay primarily at the World Harvest booth and talk with people. 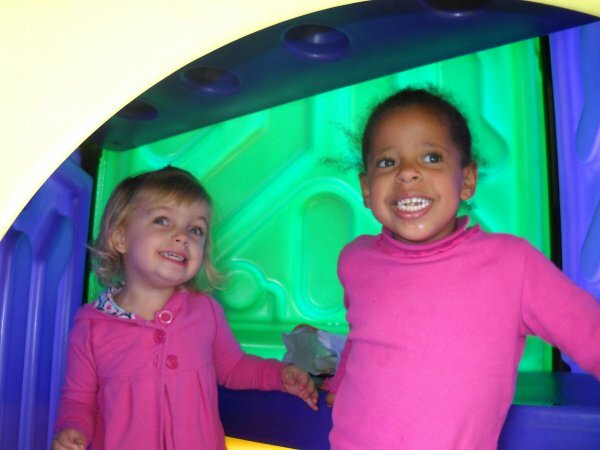 Of course, there were still other booths to visit. The LandCruiser booth was particularly popular with the boys as were the organizations that help provide engineering expertise, water, lab equipment, etc. for mission hospitals. One of the highlights this year was meeting up with friends. There were lots of people that we met at Tenwek who were at the conference as well. It was fun to catch up. Happy 4th birthday, McCropders! 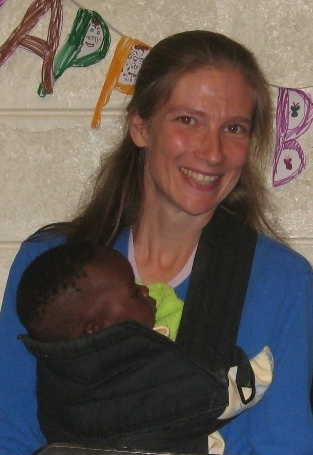 During our first 4 years together, God has nearly doubled our numbers (with the addition of 5 more children, Alyssa, & Carlan), provided us with two invaluable years of experience and service at Tenwek Hospital, and guided us to a wonderful teaching opportunity in Burundi. He has been so faithful. The McCropders (minus Elise & Micah who were in Michigan with grandparents) in front of the world map at the conference. We were excited to see several other tacks besides ours pinned in Burundi! When people ask me what I miss most about Kenya, many things come to mind, but mainly the wonderful people we got a chance to know. Sometimes people are surprised by my answer: the community (of course, had they read our "top 10" list this would be expected, right?!). These past 2 1/2 months the McCropders have been together just a handful of days, and never in complete form. 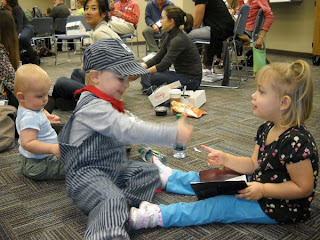 We met in September for our World Harvest orientation, sans kids. We met in October for PFR, but without the Cropseys, Carlan, and Fader kids. Finally in November we were all together for the Knox Missions Weekend (except Carlan), but it was such a busy time that we barely saw each other! The year has been a whirlwind so far for all of us, with many miles on the car or a newborn in the house. It has been wonderful to reconnect with friends and family, but our kids were especially excited when they finally got a chance to see each other again. I was holding Maggie when she saw Elise for the first time in 3 months and she got rigid with excitement, then super wiggly! It was sweet. Here are a few photos of our kids reconnecting. What a blessing to have McCropders. 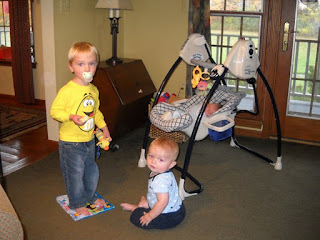 The "boys' club": Micah finally has some friends! As we travel around these days, one of the questions that often arises is "what is the toughest case you have done in these past two years at Tenwek?" My thoughts usually fall back to the time when a baby was born at Tenwek with respiratory distress. An x-ray confirmed that the baby had an abnormal left lung which was too big, thereby compressing the heart and the normal right lung. 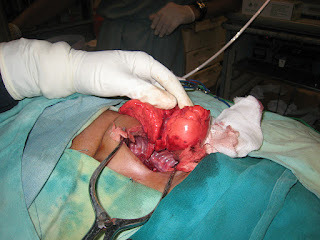 For those interested, the baby had Congenital Cystic Adenomatoid Malformation. Although I had never done a pneumonectomy in a neonate, it was necessary to remove the entire left lung to save the baby's life. I was thankful to have one of my very competent residents, Agneta, operating with me on this 3-day-old baby as we removed the abnormal lung and tied off some very small, yet important blood vessels right next to the heart (see second picture if your stomach will not be queasy). One bad move and the baby’s life could have been in jeopardy. We finished the operation and closed the chest, and since there was then a big empty space in the left chest, we filled it with water (sterile, of course). The baby did quite well, and I recently heard from Agneta that she saw the baby back in clinic and the baby continues to do fine. Although this child will likely never run with the Kenyan marathon team, it seems that God has granted her a normal life through this nervous surgeon and his resident. We arrived in Michigan last week, and the effect was immediate. All the leaves were either gold, red, or already on the ground. 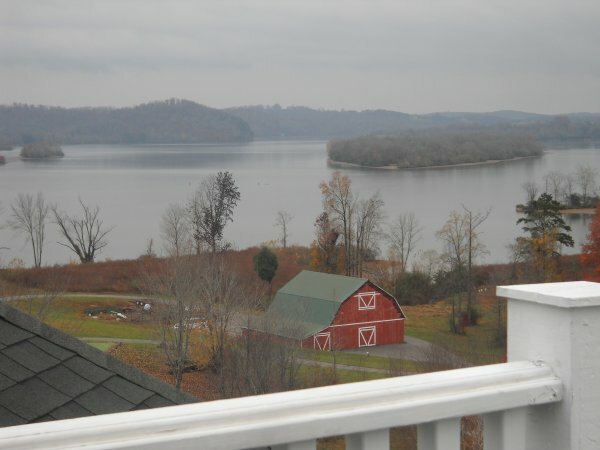 We had left an early autumn in Tennessee to arrive the next day in late autumn. We bundled up in sweatshirts, and stepped out into an evening of 40 degrees fahrenheit. It was the coldest weather I had experienced in two years, hands down, and it felt wonderful. All of these external cues: the pumpkins, the raking of leaves, the football games, the Michigan cider, the winterizing of the patio furniture... All of these bring back an entire sphere of the world that I couldn't ever seem to conjure in my imagination, no matter how I tried, surrounded as I was by equatorial climate. It's a sphere filled with decades of people and places, some long gone, now rushing back. In short, it's my home. I sympathize with people who read this and have trouble fathoming how I would rejoice at this after living 2 years with 60-80 degree weather year round. And maybe I will be taking a different tack by March. However, I'm learning that though these seasons may not be better than year round temperate weather, it is still good. It's good, and it's my home. My Kenyan friends can yearn for the dry and rainy season. I'll take spring, summer, autumn, and even winter. And this is itself a good gift and a reason for rejoicing. Last Sunday, for the first time in two years, we pulled up to Knox Presbyterian Church. All these friends, all these acquaintances. Some elements of the church service so skillfully done. Some idiosyncracies are a little more quirky, but all of them so wonderfully ours. So wonderfully home. We would like to invite you to Knox Missions Sunday this weekend. 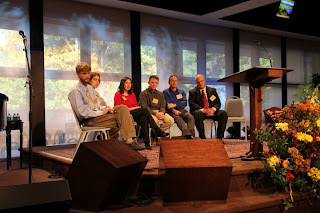 The McCropder team (minus Carlan in LA) will be leading this year's missions Sunday at Knox Presbyterian Church. Eric will be involved in the music, John will be preaching the sermon and Jason will be leading the Adult Education hour. We would love for you to be there to hear about what God taught us in Kenya these past two years and the plans He has called us to in Burundi. The cornea is the clear "windshield" of the eye. If anything causes it to opacify (as in photo #1) or become warped, vision is lost and the patient is rendered blind. In Africa, many lose their vision from corneal diseases such as trachoma (chlamydia of the eyes transmitted by flies (#2a & #2b)), ulcers (#3) and keratoconus (warpage/bulging of the cornea (#4)). also with cataracts in both eyes causing "white pupils"
These blinding diseases often cause permanent damage, requiring corneal transplantation to recover sight. Transplanting the entire front of someone's eye is no small task. 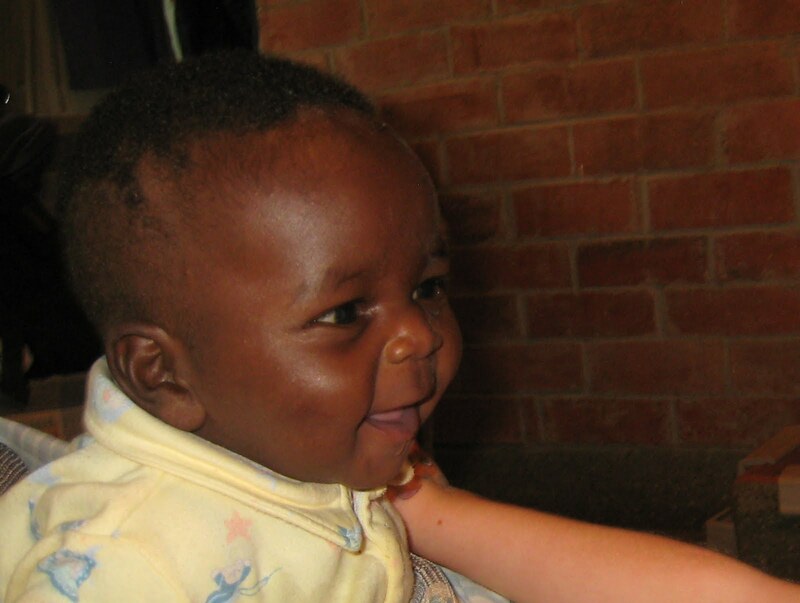 Here is the story of how God enabled us to undertake such a project at Tenwek. During residency, Dr. Sadeer Hannush (corneal specialist at Wills Eye Hospital) was a mentor to me, and we discussed the possibility of some day setting up a transplantation program in Africa. So it was with much excitement in March 2010 that Sadeer stepped off the airplane in Nairobi with his teenage daughter Monica and a large ice cooler. Inside the cooler were 30 corneas given by American organ/tissue donors and the Lions Eye Bank of Delaware Valley. Bringing human tissue on an airplane across several international borders was NOT an easy task! In order to establish a permanent transplant program at Tenwek, Dr. Hannush was able to persuade several companies (Lions Eye Bank of Delaware Valley, Moria, Alcon, AMO, Wills Eye Hospital and BioTissue) to donate over $200,000 worth of tissue, surgical supplies and instruments. Dr. Hannush performed 22 corneal transplants in four days while at Tenwek. 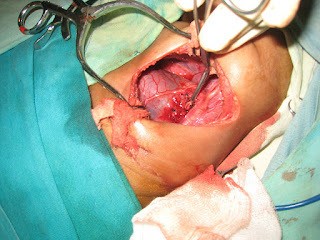 These are likely to have been the first transplants of any kind done in Western Kenya or at Tenwek. Since that week, we have received many shipments of corneas from Delaware Valley as well as the Alabama Eye Bank. Can you believe that a box of fresh corneas can be sent via Fed Ex from the U.S.A. to Tenwek in 4 days?! Over the last year and a half, Dr. Roberts and I have performed over 50 corneal transplants. The eye unit is now receiving referrals from all over Kenya. We even received an e-mail inquiry for a boy in Cameroon, West Africa, through a crazy connection with Dr. Hannush's church in Pennsylvania. Dr. Ben Roberts just performed the boy's transplant surgery last month at Tenwek. A corneal transplant in Nairobi costs thousands of dollars, and the waiting lists can be over 6 years. Due to the generosity of U.S. eye banks and other donors, we've never had to turn anyone away for lack of money, and we've been able to keep our waiting list under 6 months. 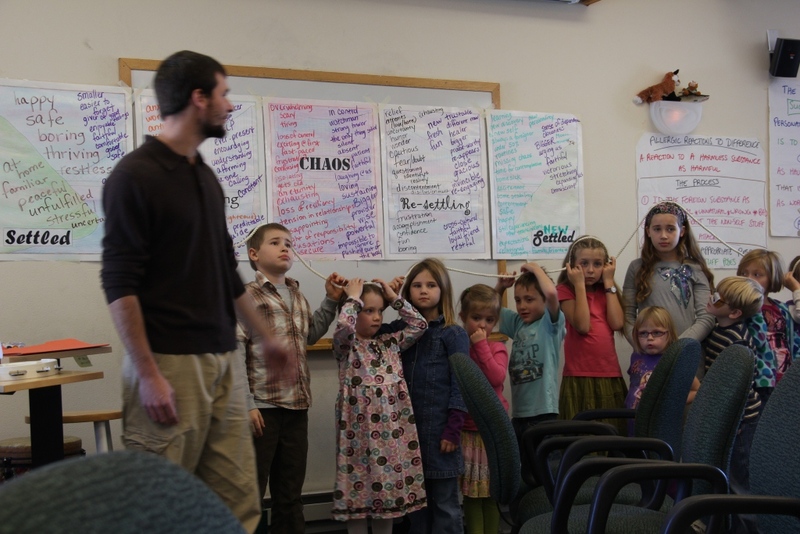 There are many stories to share from this program. One that really struck me was the story of Silas. 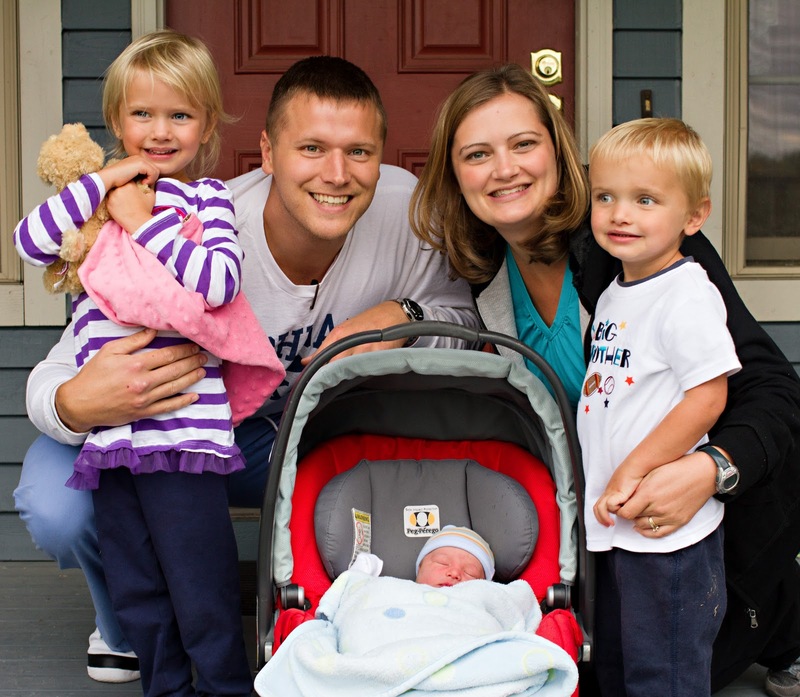 Silas is a university-educated teacher in his early thirties with keratoconus. As his disease progressed in both eyes, he found himself unable to teach. 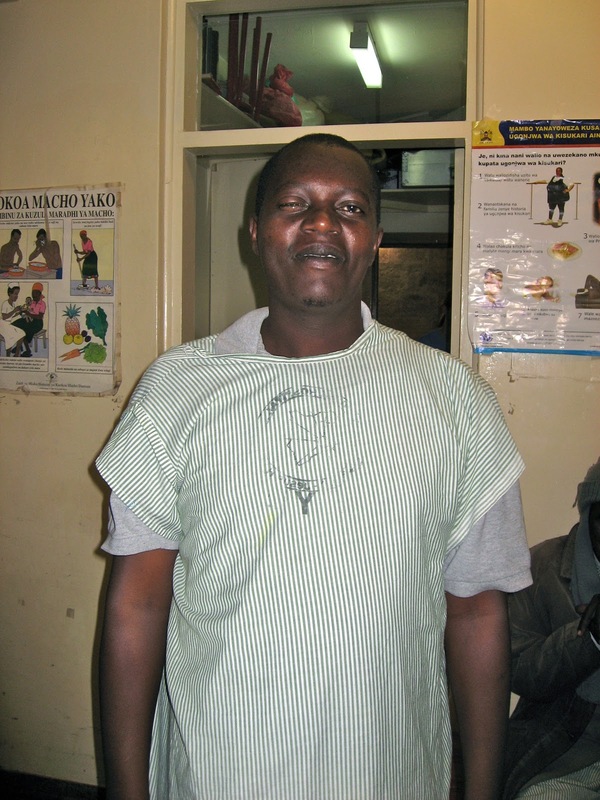 He saw the best eye care providers in Kenya, but was left blind because he was unable to afford transplantation. He told me that he had nearly lost all hope for life and God. Dr. Hannush was able to transplant his right cornea in March 2010. He recovered 20/20 vision as his eye healed! He told me God had given him back his life. He was so excited to be able to see again and to teach his students. Just before I left Kenya, he became one of only two patients at Tenwek to have his second eye transplanted. See both patients pictures below. Silas, one week after his first transplant (left eye). Note: Africans often do not smile for “formal” pictures. He really is happy -- trust me! 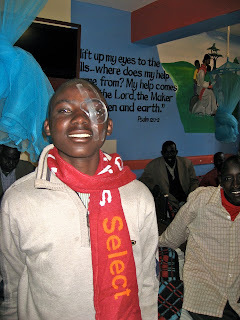 Silas, the day after his second transplant (right eye) just before we left Kenya. Kiptum (a teenager with keratoconus), one day after transplantation #2. He was my only other patient to have both corneas transplanted before we left Kenya. In conclusion, we are very thankful for the more than 70 patients who have received their sight back through this transplant program. We pray that many more will continue to be blessed in body and soul over the coming years at Tenwek. 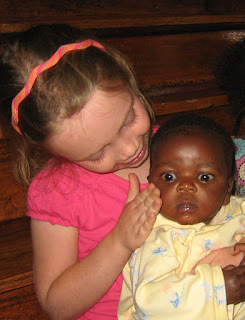 He was the third foster baby that we had this summer in Kenya. He only stayed in our house for a week, but he has stayed in my heart and in my mind every day since then. 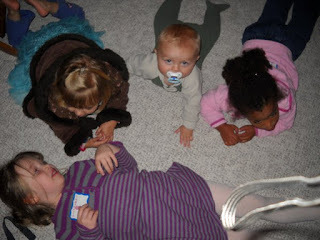 If you could know this baby, then he might stay with you for a while, too. This baby boy was wrapped in a blanket at the door of a church somewhere near Tenwek. The police found him and brought him to the hospital. Because he was in good health, he came to our house the next day. He received immediate, constant, and enthusiastic affection from Anna and Abi. Lots of it. He was beautiful! In my opinion (general consensus? 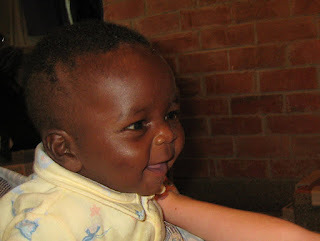 ), many Caucasian babies seem to require several months to grow into themselves before they become cute, but this baby boy, like most African babies, was unbelievably cute. The only thing that may have detracted from his cuteness was his scabies. I discovered his scabies when I began to feel strangely itchy myself. A small price to pay to be able to take care of such a sweet baby. We began to pray for his birth mother, who is certainly facing bitter circumstances. 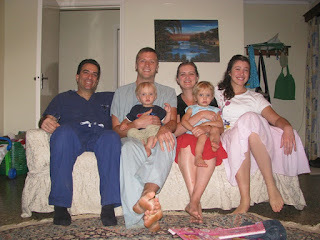 And we began to pray for God to work in the hearts of a family (who must be residents of Kenya) who would adopt him. This was a jarring thought to me. He was about four months old, and he was well-fed, indicating that he surely had a name and a mother who took good care of him. But suddenly he lost his identity, his family, his name. I gave him the name Joseph. Joseph is a common name in Western Kenya, but I chose it for another reason. I chose the name Joseph as a reminder that God can use baby Joseph's life the way he used the life of Joseph in the first book of the Bible. The original Joseph was also abandoned by his family and faced severe trials as he grew to adulthood. In the end, however, Joseph testified that "God meant it for good" as God used Joseph's awful past in order to bring good for thousands of his people. Let's pray and believe that God will do the same in this Joseph's life. We thought everyone would be asking "So, how was Kenya?" A lot of times they don't, and maybe this is because we have managed to keep people abreast through this blog and other means. Instead they ask "What is it like being back in the US?" This is a great question, because it takes a bit of consideration, and with any luck, the fruit of the conversation may be of benefit to both people. If I were to pick one word, it would be Busy. On one level, this is surprising. After all, this is America, land of convenience and efficiency. Websites open instantly. You can drink water straight out of the tap. You can drive (at night) to a grocery store that is open (at night) and well-stocked (always) on excellent roads with traffic lights that have little triggers to turn green when people drive up. Usually, conversations are shorter, because I don't have to repeat myself three times to get my American accent understood. Meals instantly appear from freezers and/or delivery vehicles. You get the idea. And yet, we feel like we are running around constantly, with far fewer hours than we need for the tasks before us. Why? #1: We are sort of working from home, which means that all of our planning, networking, and presenting goes from the moment we wake up, until the moment we go to sleep. This maximizes our productivity. Except that it doesn't. Because of #2: We have multiple small children. This effectively means that we may as well stay on "Africa time", because that is really the only option available to us. And #3: America is a land where your productivity is a common proxy for your worth, and thus being here makes us all feel that we have to be producing all the time if we are worth anything. We are definitely talking about quantity over quality here. And thus, without doing any medicine, in a land full of "time-saving" devices and systems, I feel busier and less efficient. And yet, at the heart of things, none of the above are the root reason. The year before us is somewhat daunting. We have a lot of catching-up to do, a lot of training to complete, and a lot of support to raise. I overstretch myself trying to get all this done. I have confidence that this path we're on is one that God has started. In fact, he promises to finish it (Phillipians 1), but I take it on myself. I show my lack of trust in God's faithfulness by bearing these burdens myself. Seemingly, this is what Paul calls starting with the Spirit, then finishing with the flesh. (Galatians 3) Just as the burdens of patient care in Africa could loom too large for my abilities, so now. And just as then, God is not calling me to do all things perfectly, but to obey and trust him with the times and gifts he has given me. Can I rest? Do I dare let things out of my control? Will I trust God that he will complete his work in us? Will I honor him by recognizing that it is not dependent on me? Isaiah 30:15: "In repentance and rest is your salvation. In quietness and trust is your strength." Take a deep breath. Know that he is God. He will be glorified in the earth. This is against our culture in a big way. And, you who read this, I pray that God would lead you in it. As you read this, please pray for us that we would led as well. This last week, many of the McCropders got a chance to do something they've never done before: speak at a CME conference. During our last year at Tenwek, a general surgeon named Mike Cheatham came for a few weeks with his family, and got to know us. He helps put on an annual conference called "Missionary Medicine" which provides CME (continuing medical education) along the lines of things doctors would encounter if they were trying to practice overseas for the first time. The conference lasts for a day and a half and leads into Samaritan's Purse's annual "Prescription for Renewal," a time for doctors to get together in Asheville, NC for spiritual retreat. Jason, Alyssa, Eric, and Rachel were able to give the majority of the dozen or so lectures presented at the CME seminar (John was supposed to be there too but was unable to come due to...family issues!). It was a great chance for us to tell our story to a larger population, give thanks to SP and the post-residency program for the support they've provided, and reconnect with friends. As we joked several times during the conference, we were basically the youngest docs there, and felt rather underqualified for the task at hand, but really enjoyed a chance to lecture and teach people some of the things we've learned these past 2 years. 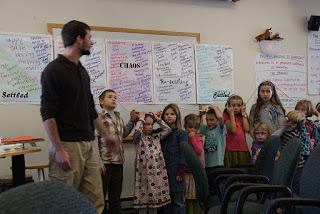 Eric gave lectures on suffering, typhoid, malaria, and the "word and deed" aspect of medicine. 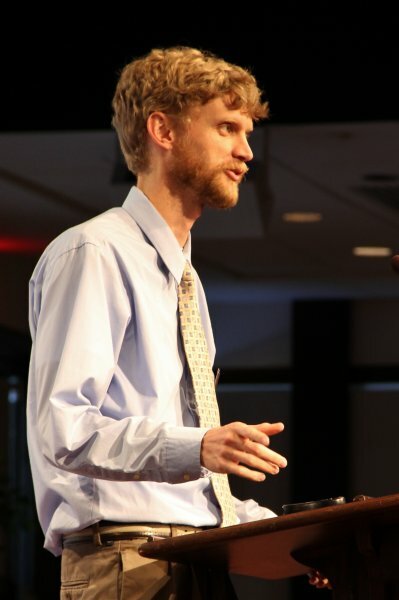 Jason gave lectures on the public health value of surgery and late presentations of surgical diseases, as well as the value of educating nationals as a missionary doc and the McCropder story. Rachel spoke on HIV in pregnancy and OB in a resource limited setting, and Alyssa talked about vaccine preventable diseases (all this to say if you'd like a 30-45 min lecture on any of the above topics let us know!). It was a great weekend, and the leaves were at peak color in Asheville, so the setting was beautiful. We hope lots of people were able to connect with our story and will come visit us in Burundi in years to come. We (the Cropseys) were excited to be heading to the University of Michigan hospital at 2:00AM last Thursday. Cropsey #3 had given us a few false alarms the week before, but it now appeared his arrival was imminent. John was scheduled to speak at the Prescription for Renewal Conference in Asheville, NC later that evening along with the other McCropders. His flight was booked for 1:50PM in the afternoon. Since this was a third baby for Jess, surely we thought he would arrive relatively quickly and John could still catch his flight in time for the conference. Well, things don't always go as expected! By late morning, it became apparent that this baby wasn't coming anytime soon due to his poor head positioning, so John canceled his trip. The munchkin finally arrived at 3:28PM, October 13th, weighing 7 lbs, 15 oz and measuring 20 inches long. After prolonged negotiations, nearly requiring arbitration, a name was decided just in time for discharge: Samuel Isaiah Cropsey. 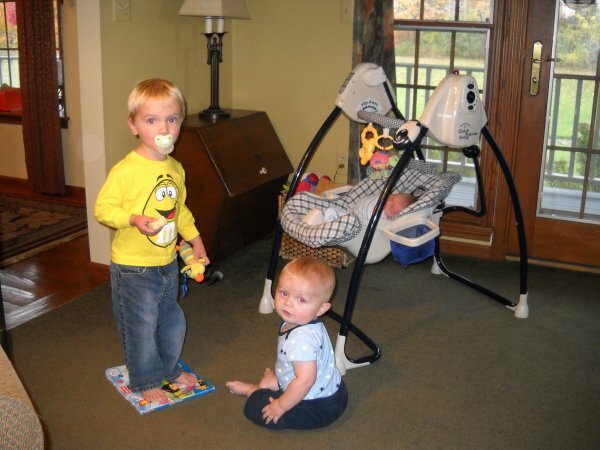 Elise & Micah were super excited to greet their new little brother. Elise definitely has natural mothering abilities, but Micah will need some continued coaching about what it means to "be gentle" with Baby Sam. It's been a harder transition than expected...thus the long delay in getting this blog up. We're pretty tired, but very thankful for all the support that we have. Our parents have been awesome. Many thanks to the Mc__ders and others who covered John's conference slots at the last minute. We'd appreciate your prayers for our family as we continue to adjust. We're looking forward to introducing our newest member to many of you soon! Sorry for the post lapse. We've all been down in North Carolina for an excellent conference (more later), except the Cropseys, who have been otherwise occupied (more later). For those who don't remember "Strawberry-Flavoured Magic Obama Chewing Gum", I really can't blame you, because it was quite a while ago. But lest you think the lack of Obama posting means that Kenya has bailed on their presidential enthusiasm, we have a follow-up for you. 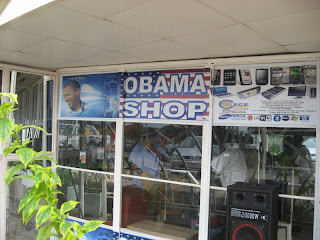 Obamania in Kenya has waned somewhat, but overall they remain strongly behind the American President. 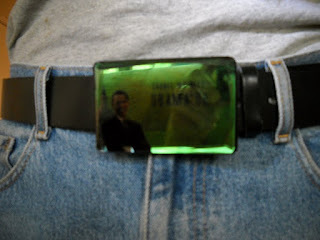 One of my favorite manifestations of this is the Obama belt-buckle. 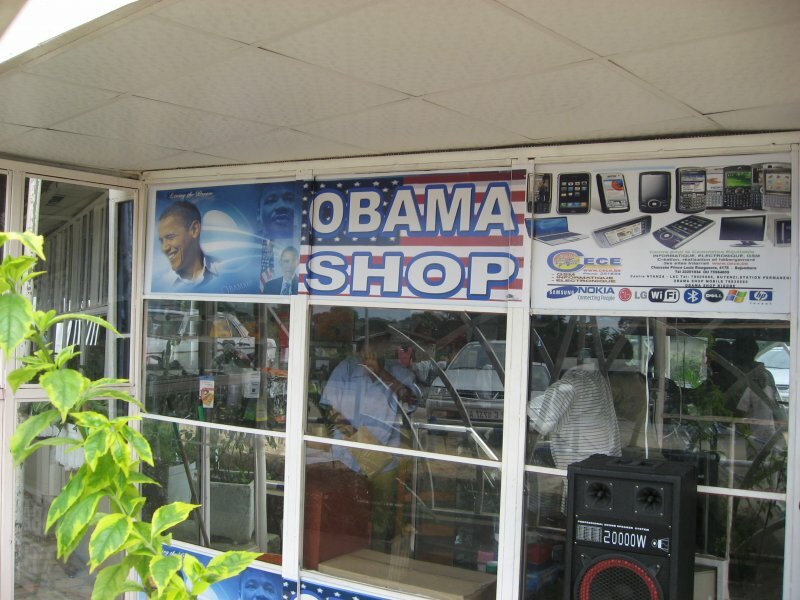 There are many of them, manufactured in China and imported with impunity, with seeming disdain for the American phenomenon in which the Obama fans and the Belt-Buckle fans don't really overlap that much. My favorite one is one where you can see the President, but if you rotate it slightly, an image of the first family is reflected. At any rate, about a month before we were leaving, I told all our guy interns that I would pay double for an Obama belt-buckle. One of them graciously took me up on it, and actually gave it to me as a gift. The accessory is actually too shiny to photograph very easily, but you can see me sporting it below. I still have it, so ask to see it any time. 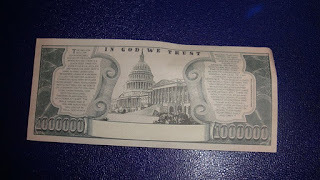 One day in the hospital, someone passed me this (below). 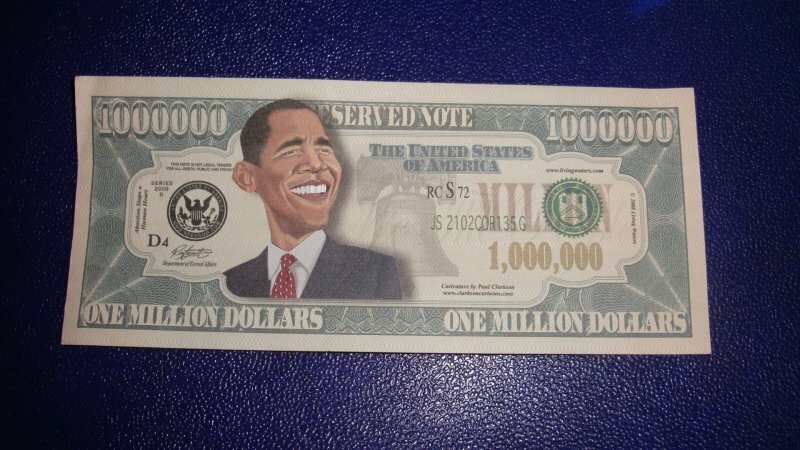 That's right, a $1,000,000 US bill with Obama's picture. But it gets better, because this is actually an evangelistic tract, if you magnify the print on the back of the bill. I looked up the company that made them, and it's an American company, so I guess they manufacture these for use in Kenya. 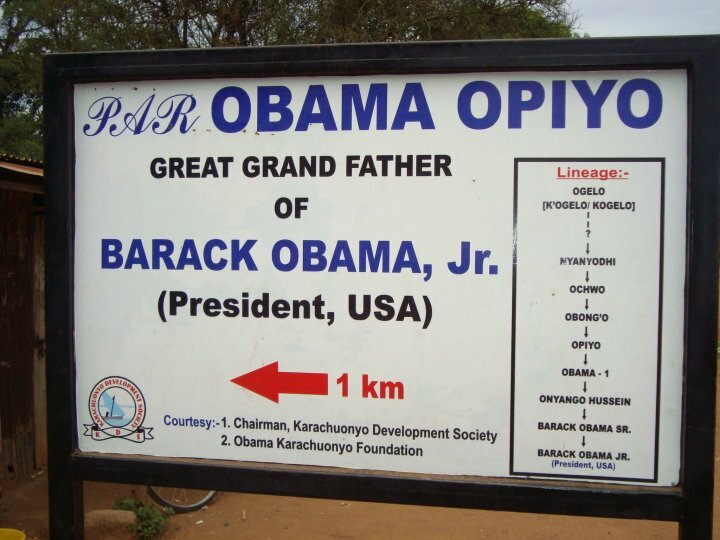 One of our Kenyan friends shared this picture with us, which is a sign in a Kenyan village, that apparently was the ancestral home of President Obama's family, complete with genealogical lineage.